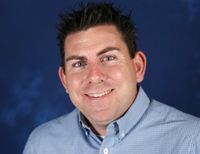 QSC Systems has hired Joey D’Angelo as director of systems solutions. D’Angelo will contribute to QSC’s strategic direction within its systems business, across the areas of sales, marketing, and training. He will also work to form and cultivate strong partnerships in QSC’s key market segments, serving as an informed advocate for QSC’s portfolio of systems solutions. D’Angelo will also be deeply engaged in product conceptualization and roadmap discussions for QSC Systems as QSC continues to add to its solutions portfolio in the corporate AV arena and other key market segments. D’Angelo added, “I'm looking forward to joining the newly formed systems division at QSC and being able to work with an extremely talented and smart group of people. We will work hard together to unleash the power, flexibility, and value of the next generation in AV technology." D’Angelo is an editorial contributor and advisor to Systems Contractor News, AV Technology, and Sound and Video Contractor. He earned his Bachelor of Science in Industrial Technology from California Polytechnic State University-San Luis Obispo.